BEITBRIDGE Customs and Excise officers over the weekend defied Vice-President Kembo Mohadi’s instruction to vacate a bonded vehicle transit shed he operates together with some businessmen and move to a new shed. Mohadi, who jointly operates MOOMU trading as Malindi Transit Shed with Oscar Chiromo and one Mushipe, wants out of the business, where the two provided the shop the Vice-President rents as the licence holder. He has built his own place at the late Vice-President Joshua Nkomo’s Stand 411 in the border town, where he plans to relocate the business under a new arrangement. Mushipe and Chiromo are said to be refusing his new arrangement, arguing they had invested thousands and will not recover if Mohadi abandons them before expiry of the agreed six-year period. At the weekend, he had fights on two fronts — Mohadi stripped directorship from Chiromo, Mushipe and his children from his failed marriage with Senator Tambudzani Mohadi in favour of a new team, including his son Bruce, currently in trouble with the law on allegations of robbery. Mohadi does not want anything to do with any member of his family, including Tambudzani, whom he threatened to beat up in full view of the police on Saturday. Moomu had a contract with Chiromo and Mushipe, but Mohadi is said to have brought a court order stopping operations at Malindi saying the contract was over. Malindi Transit Shed handles, on behalf of Customs and Excise, imported pre-owned vehicles prior to formalities like duty payment and temporary registration. The arrangement was to decongest the border post, which handles hundreds of imported pre-owned vehicles weekly. 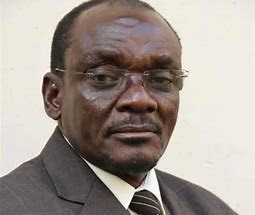 According to a source, Mohadi on Friday dispatched plainclothes police from the Beitbridge police to the transit shed. “Plainclothes policemen came on Friday and ordered all operations to stop and directed customs officers to relocate to his new site. He selected staff and said he only wanted people from Beitbridge working at his new site,” a source at Malindi Transit Shed told Southern Eye yesterday. A senior Customs and Excise official yesterday said officers had not left because the new site had not been inspected and no installations were in place. “Everything is under control and officers are still at Malindi Transit Shed which has installations. We have not moved to a new site although we confirm such a development was there,” the official said. A notice was, however, pasted at all gates indicating that they were moving office. Mohadi also removed air conditioners reportedly installed by Chiromo and Mushipe, which he directed that they be installed at his new site. After closing Malindi Transit Shed, Mohadi deployed police to the border post to direct drivers of vehicle carriers from South Africa to drop cars at his new site, which drivers ignored. “Instead, the drivers of vehicle carriers took cars to Manica Transit Shed. They said clients did not want their cars taken to where Mohadi was,” the source said. One of Mohadi’s daughters, director of Moomu, said she was surprised to hear she had resigned. Chiromo and Mushipe were both not available for comment, but were said to have gone to seek legal protection.